The pre-season friendly away against Gravesham Borough on Saturday 28th July has had to be cancelled due to our hosts unfortunately going out of business. 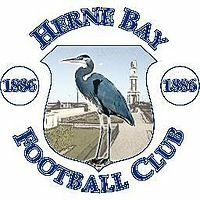 Instead the Angels will be playing at Herne Bay with a 3:00pm KO. We are grateful to everyone at Bay for accommodating us at fairly short notice. If you click here you can read of Gravesham Borough’s unfortunate demise. It’s a salutary warning of how non-League clubs can so easily founder.  Lee becomes our fourth summer signing Steve McKimm has added another new signing today with the addition of the Hendon defender Arthur Lee.